The smallest motorcycle gearshifter drive system in the world. Translogic's soft-start-drive design provides the perfect shift with easy neutral selection. Designed to perform in the most gruelling conditions. Sealed, salt spray tested, environmentally endurance passed. Reversible drive for Road or Race applications. Our latest Powershifter servo uses a totally new rotary design providing superior torque, speed and control. Gears can still be selected manually after installation. Translogic's attention to detail shines through with the new handle bar bracket and switch assembly, simple and elegant. Buttons featuring gold plated contacts for precise gear shifts. 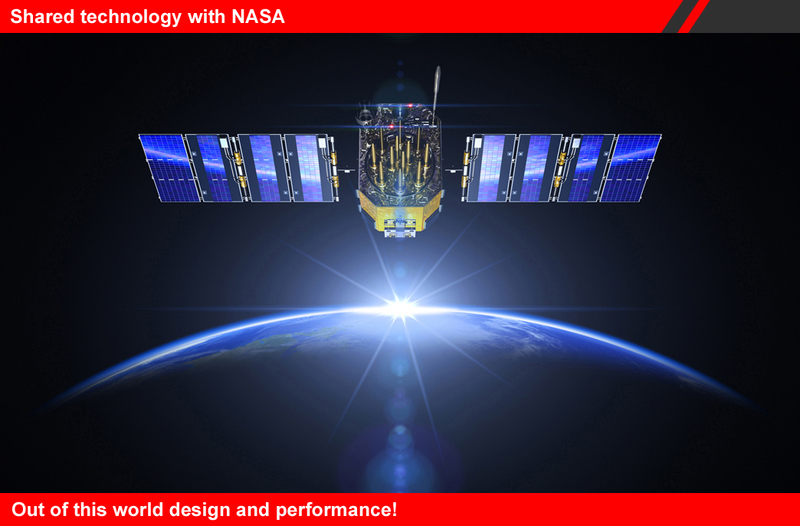 Developed and designed to put you in complete control. Translogic's state-of-the-art PSR ECU features our unique PWM drive system featuring soft-start-drive and easy neutral selection. The PSR-PRO ECUs feature dual outputs for both the optional Intellishift ECU and Blip Assist ECU (where applicable). Perfectly positioned steering wheel buttons suitable for most 3 or 6 hole mountings. Easily adjustable button brackets for vertical, horizontal and span positioning enabling you to keep hold of the wheel securely (brackets only, complements TLS-PSR1-PRO systems). These Powershift push button gear shifter systems are the most compact of all the push button gear shifter systems available which can select gears both up and down the gearbox. Neutral can be selected easily by momentarily pressing either the up or down buttons due to it's unique compact servo design. The success of this innovative design is due to the control of the shifter action and its operating characteristics in being able to mimic the speed and movement of the human foot/hand during it's shift cycle culminating in the perfect gearshift simulation which does not put further stress on the gear box as other solenoid type shifter systems. 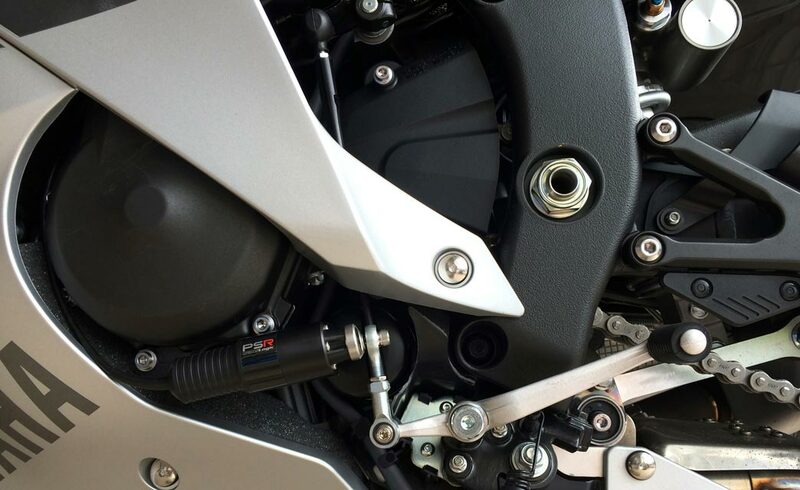 The TLS-PSR2-PRO+ system comes with a CNC machined aluminium bracket which houses the 2 weather proof gold plated contact tactile shift buttons and is suitable for mounting around 7/8" handle bars on metric motorcycles. For *kart and *car installations the buttons can be installed into the accessory button brackets (TLS-PSR1-PRO-BB) to enable direct steering wheel fitment. Each button has gold plated contacts to ensure only the cleanest shift signal. Once the Powershifter is installed gears are selected via the shift buttons although you can still manually. This safety feature means that if there was a failure of the bikes/vehicles electrical systems gears can still be selected by hand/foot due to the design of this low inertia shifter system. Translogic's PSR-PRO+ systems feature the Intellishift and Blip Assist outputs ready for connection to the optional Intellishift, QSX Quickshifter and Blip Assist ECUs. The PSR-PRO+ Powershift system has a unique 'shift lock' feature where the Powershift ECU monitors the engines RPMs and ensures a gearshift is fully executed (suitable for all +12v ignition types). 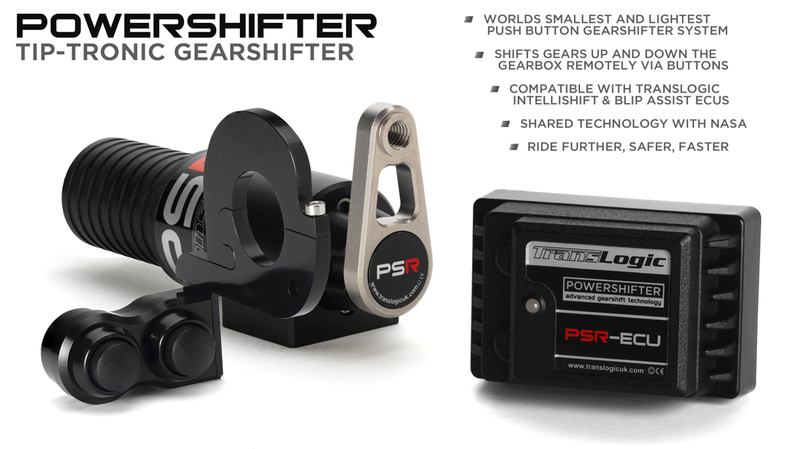 The Powershifter Push Button Gear Shifter system can be fitted to almost any application. A handle bar bracket comes as standard on PSR2-PRO+ models and is suitable for 7/8" handle bars. Once fitted there is no need for the gear lever any longer although gear can still be selected manually. Neutral can be easily selected by carrying out a 'half button press'. SPECIAL NOTE: This product is universal and is not bike, car or kart specific. It will be necessary to fabricate a mounting bracket for the body of the shifter unless there is a suitable surface for the shifter to be bolted to. 2 connecting M6 rod-ends with a tie rod are supplied to make the installation a little easier. Translogic Systems cannot guarantee the operation of the Powershifter with thrid party or other OEM quickshifter and throttle blipper products. Translogic Systems recommends professional assistance when installing this product. *The Translogic Powershifter products have been designed to mimic the speed of shifting gear by foot, 2 to 3 gearshifts can be acheived in a 1 second period. If faster subsequent gearshifts are required the Powershifter may not be suitable for your application.